Home/High rise Pool Fencing, Latest News Posts/The Q1 Pool fence is the Tallest residential pool fence in Australia thanks to Absolut! The Q1 Pool fence is the Tallest residential pool fence in Australia thanks to Absolut! Did you know that the Q1 pool fence in the penthouse is a Pool Fencing Record? When it involves Frameless Glass Pool fencing on the Gold Coast, many people imagine a few small panels around the classic backyard pool. But no more! Absolut Custom Glass Systems were involved in the creation of the Q1’s Penthouse Pool on the top floor of the Iconic Gold Coast building. This Frameless glass pool fence is now the highest residential pool fence in all of Australia. Absolut Custom Glass Systems were delighted to have been brought in for the Q1 pool fence and were happy to be part of such an exceptional structure. So what did it take? It being the penthouse, luxury was of course essential. That meant that we went along with the Frameless Glass Pool Fence option– amazingly uninterrupted views that let the pool blend flawlessly with the rest of the penthouse for a five star feel. Naturally, only toughened clear glass would match such an incredible penthouse with a view to match that is the envy of people all around the world. The customer insisted that we only use marine grade stainless steel fittings, that wasn’t an issue as we use that on all our glass pool fence installations in the Gold Coast. It was also requested that we use hydraulic soft close hinges, these are a luxury item that guarantee longevity and a super quiet self-closing mechanism. Hinges on pool fences are necessitated by law to be self-closing, and although our regular spring loaded stainless steel hinges suffice, the hydraulic ones are fantastic and do it all quietly– so if you are on the Gold Coast trying to find a Glass pool fence– consider the hydraulic hinge choice for an extra dash of class. The tough part of this job was getting the staff to stay prioritized the job at hand, with such a marvelous view is was easy to become distracted. It was such an iconic component of the Gold Coast we felt fortunate just to be involved. There was a tranquil elegance to the room, and you often would find yourself gazing out over the kilometers of Gold Coast beach and ocean in front of you. Luckily, we had a terrific team on the job and we were wrapped up by lunch time, with as little disturbance as possible to the penthouses management. The owner services team were quite helpful and ensured that we had great access and use of the trade elevator so we could deliver the glass all the way to the 74th level. I think that this particular job is an important step– not just because it was for such a first-class Gold Coast Icon, but because it stands as a little bit of a unique statement. Back even just Ten Years ago, when we started our Glass Pool Fence company most of our jobs installing Custom Frameless Glass Pool Fencing were actually for these 5-star penthouse style homes. It was definitely only for the richest people on the Gold Coast. Now, the overwhelming number of our jobs are for your standard people- it is more economical than ever and it gives each and every home an extra touch of prestige that definitely is a true statement about the Gold Coast, and if you go down this path, you can share in the same sort of class that is now part of the Q1 pool fence. And did you know that this Absolut Pool Fencing job was on Channel 7? Check out the rest of our gallery for the Q1 pool fence job in our gallery and call us today for a free, no obligation quote on 1300 937 902. Or check out our partner organisations – together our goal is to deliver quality Pool fences and pool fence education to more places on the Gold Coast, Affordable Glass Fencing, Frameless Glass Gold Coast, and Frameless Glass installers. 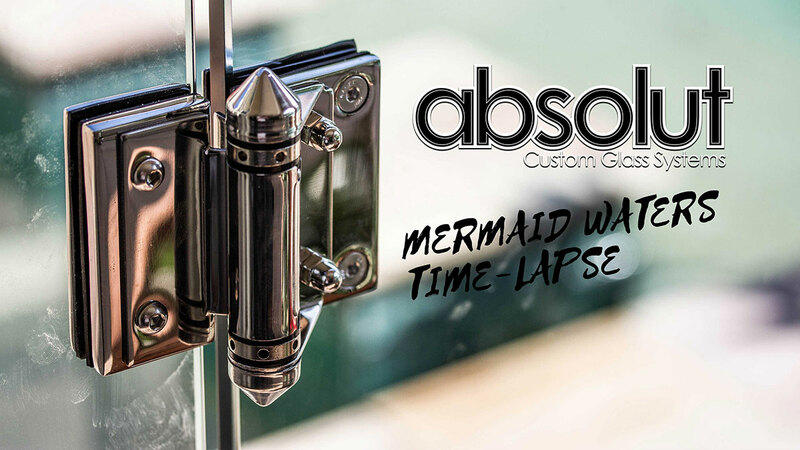 Why choose Absolut Custom Glass Systems? How Much Does Glass Fencing Cost? Fully Frameless Glass Balustrades on the Gold Coast-The luxurious option.